There are plenty of names for all the different kinds of Hand-tied Bouquets that most people aren’t familiar with. And how could you be with such a great variety? Actually, you don’t have to know them by heart since Flower Shops will be glad to explain everything to you down to the last detail. Our gifted floral arrangers have the skills, the knowledge and the imagination to transform every floral idea into a reality. And they really do know everything there is to know about flowers. This type of bouquet is most popular for weddings. The bride-to-be and the bridesmaids carry them to add even more beauty to their dresses. Undoubtedly, flowers are great for adorning every event and to make it one of a kind. This is why they are and always will be in the hands of the bride when she’s getting married and part of the wedding decoration as well. Today, it’s become a tradition for the wedding to have a theme colour. Our handmade bouquets for the occasion can match this main hue and, at the same time, harmonize with the wedding gown of the bride. In effect, the bride’s wedding bouquet plays a key role among all the other wedding flowers since it finds a place in most photographs and it’s also the one that has to be caught by the next bride-to-be. And since this particular handmade flower bouquet has its own little star moment, it has to look impeccable. Our extremely qualified floral experts can certainly make it look that way, if not even beyond that description. 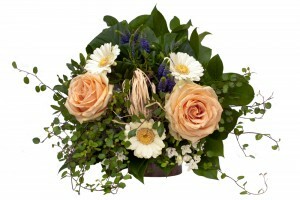 They work quickly and are devoted to any flower arrangement project they undertake. We can make all these types of flower arrangements so that they won’t just be a description on your computer screen, but a reality. Thus you’ll be able to actually see what miracles can come out of the hands of our florists. You’re truly be astonished by their beauty, and Flower Shops will make that happen. Our phone number is ‎020 3900 2440, so go ahead and call.